Pulau Tioman is situated in the Pahang State but since Mersing in Johor is the nearest town to get to the Island, we group this wonderful island under the Johor state. 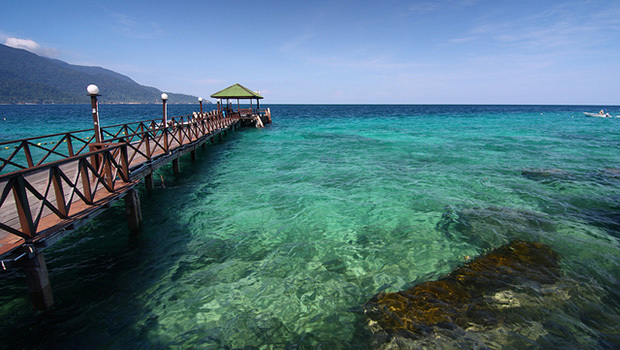 The Pulau Tioman is an island which is the largest among the group of sixty four volcanic islands that include Pulau Renggis, Pulau Labas, Pulau Chebeh, Pulau Tulai, Pulau Sembilang, and Pulau Buat. 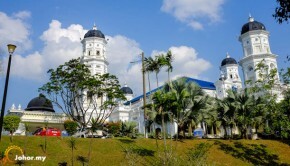 The island is located eighty kilometres to the northwest of the east coast of Peninsular Malaysia. The local folklore has it that the island is the shelter to the fabled dragon princess who transformed herself into an island in South China Sea. What you get here are miles of soft sand, wild flowers growing vividly in all directions, and swaying palms. 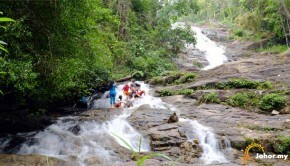 You would find cascades flowing smoothly down the green slopes. The island is mostly a paradise for the adventure lovers who love to indulge in trekking, sea sports, sunbathing, and quiet retreats. 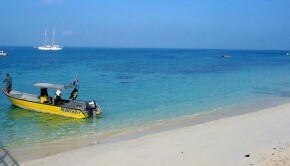 The fishing enthusiasts would have a paradise at the Tioman Island. All it would need is hiring boat for a complete day anchoring outside the limits of the Marine Park where fishing is allowed. Till dusk there would be plenty of catch available to go for a barbecue at the beach. Deep fishing is a more challenging activity that the tourists often try their hands at. Apart from crustaceans and fish, you are most likely to find lobsters, prawns, crabs, shrimps, cora trouts, etc. here. The island is a perfect stress buster owing to its ideal location and the serenity and tranquillity embedded in its ambience. 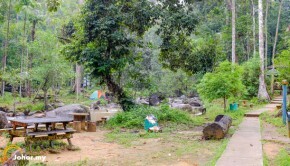 The tourists and guests visit the island to indulge and immerse in the calm and tranquil setting of Pulau Tioman. The waves are soothing and the breeze rejuvenates not just the body but the soul too. Walking along the shoreline as the sun sets below the horizon paints a truly beautiful scenery of the island that remains etched in the mind. There are wooden chalets if one seeks accommodation on the beach. There are luxurious hotel rooms as well. Hospitality remains common in both kinds.